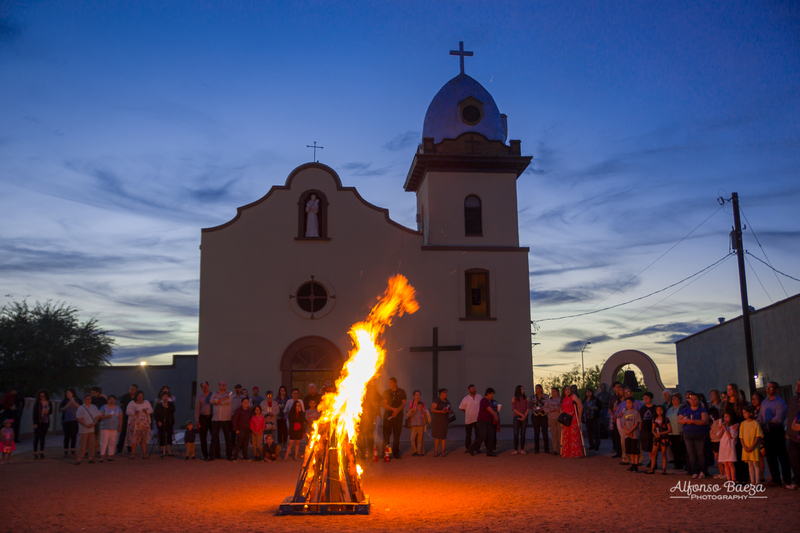 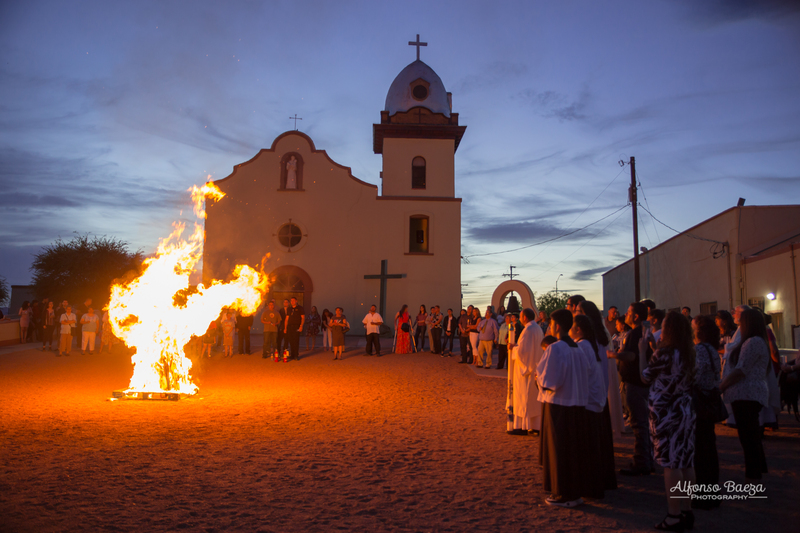 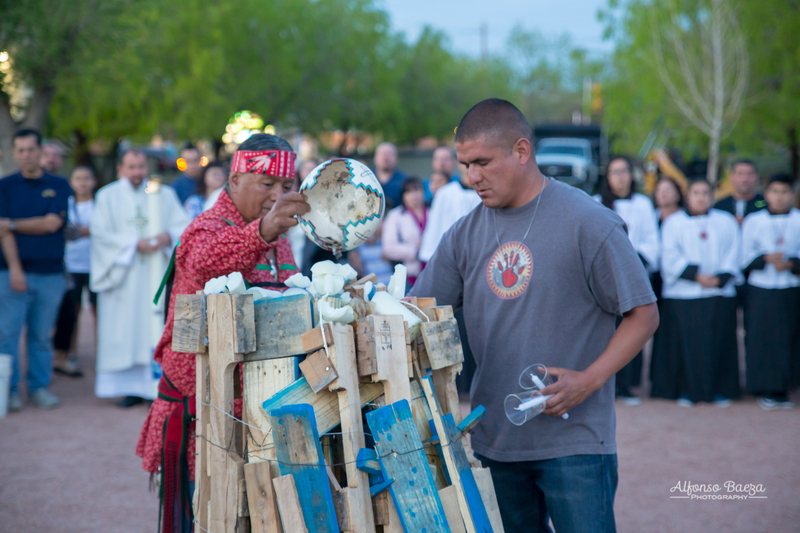 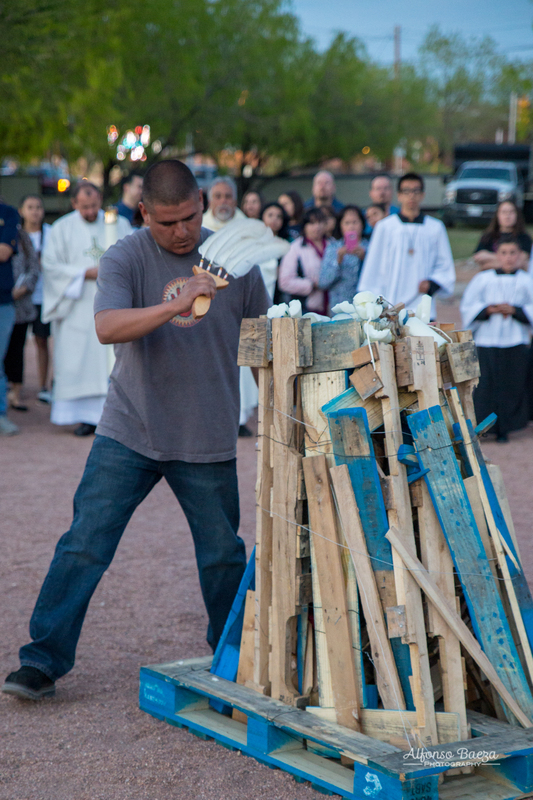 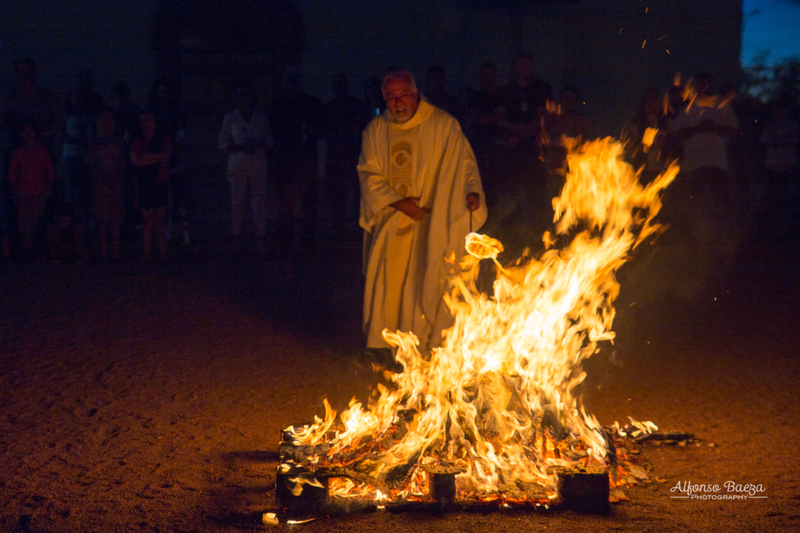 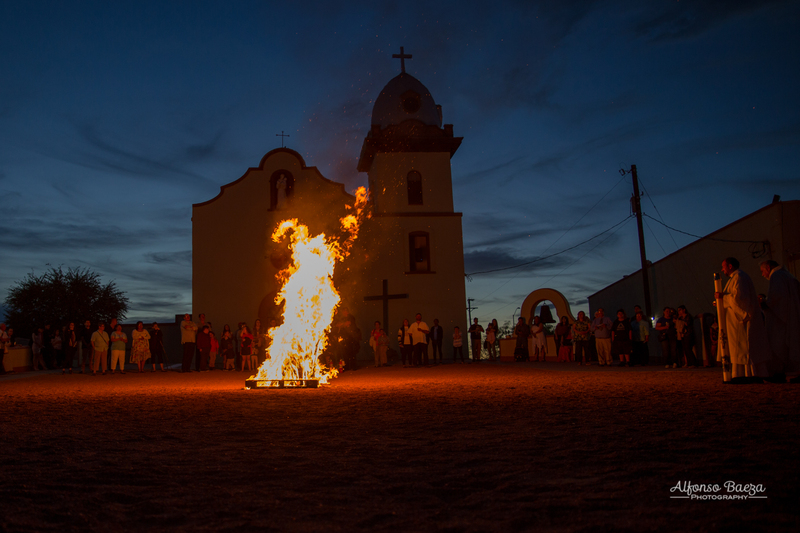 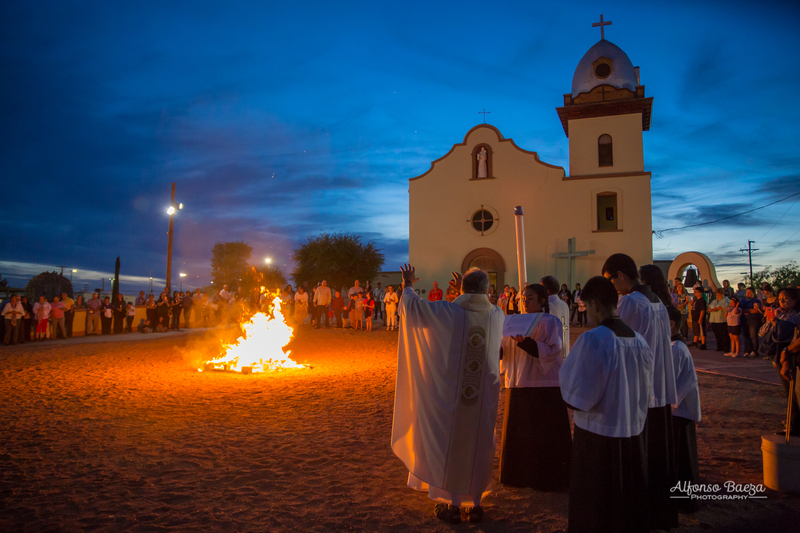 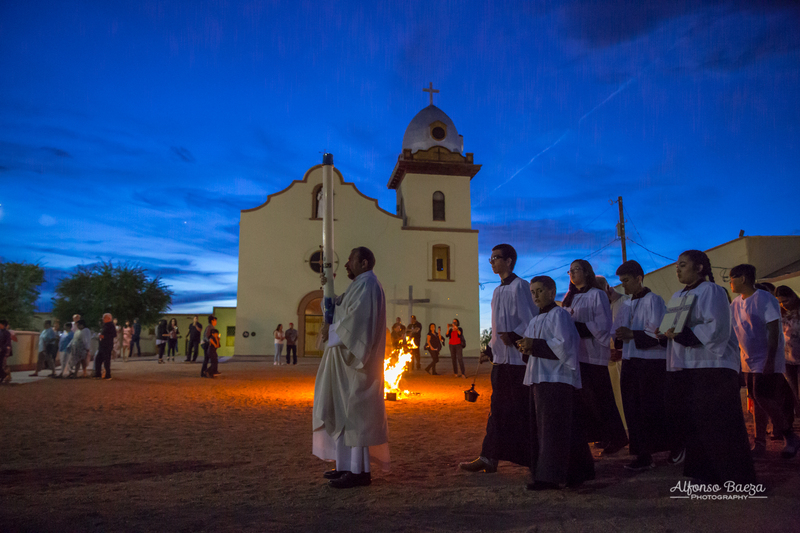 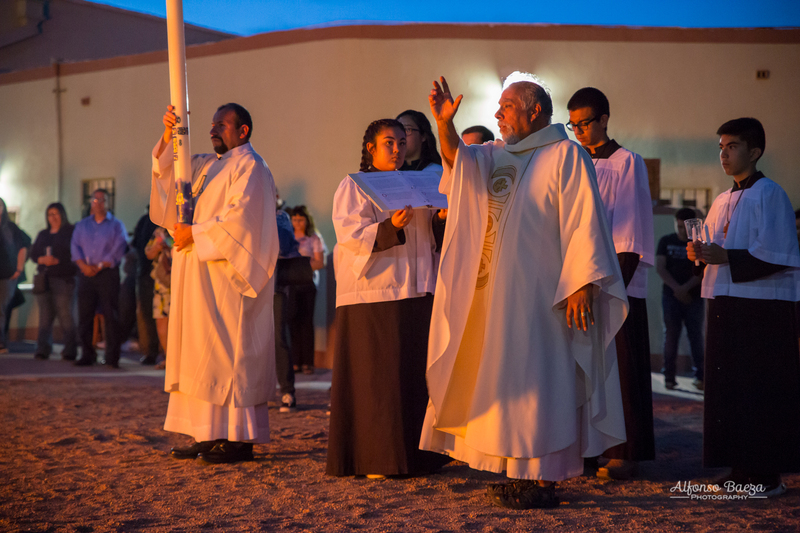 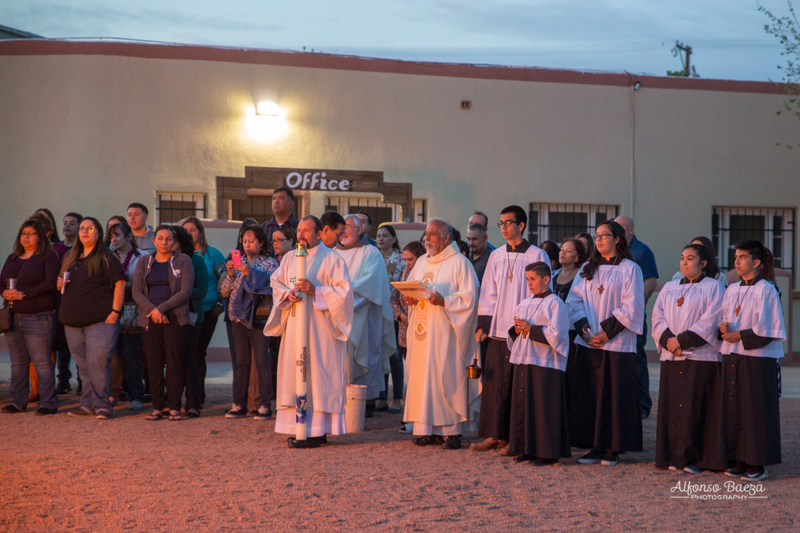 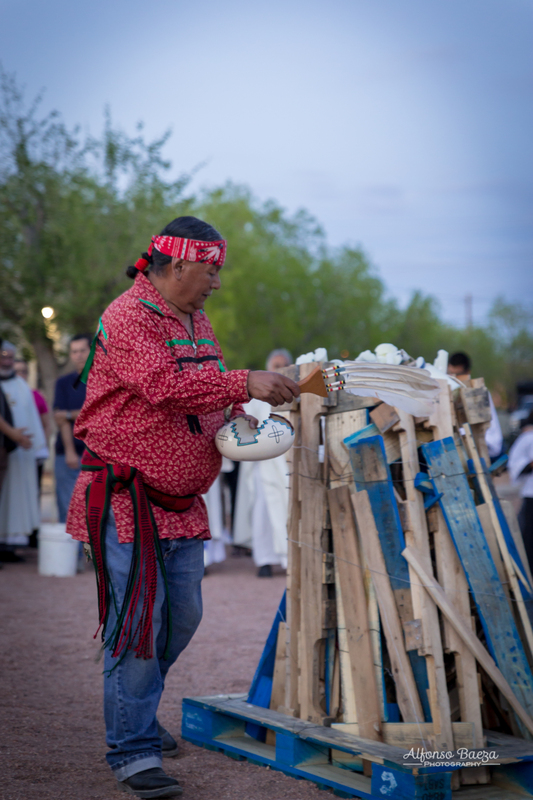 Parishoners gathered in front of the Mission to light the new fire. 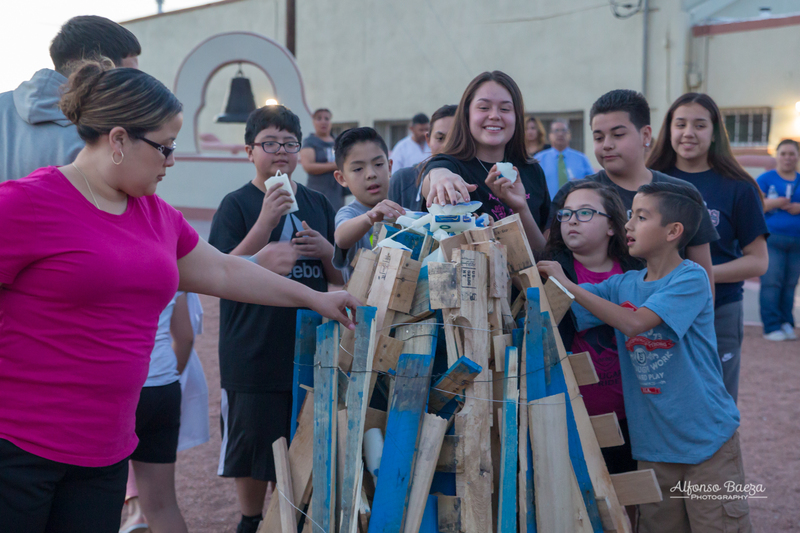 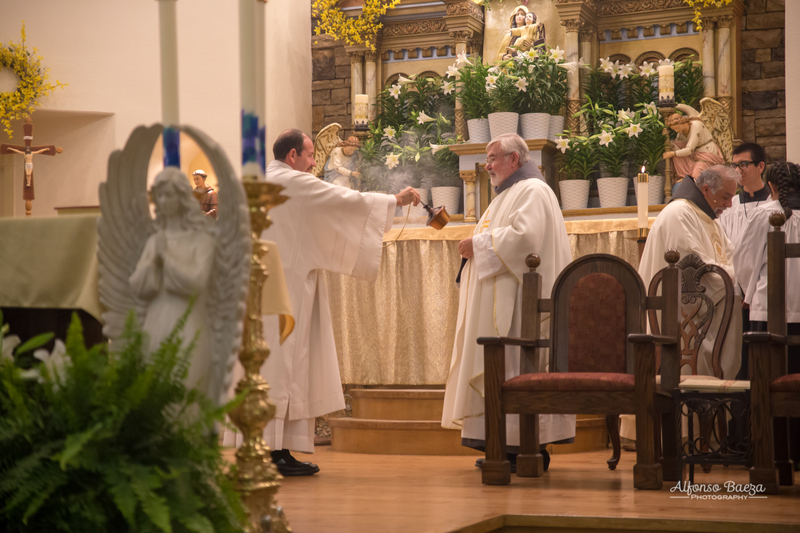 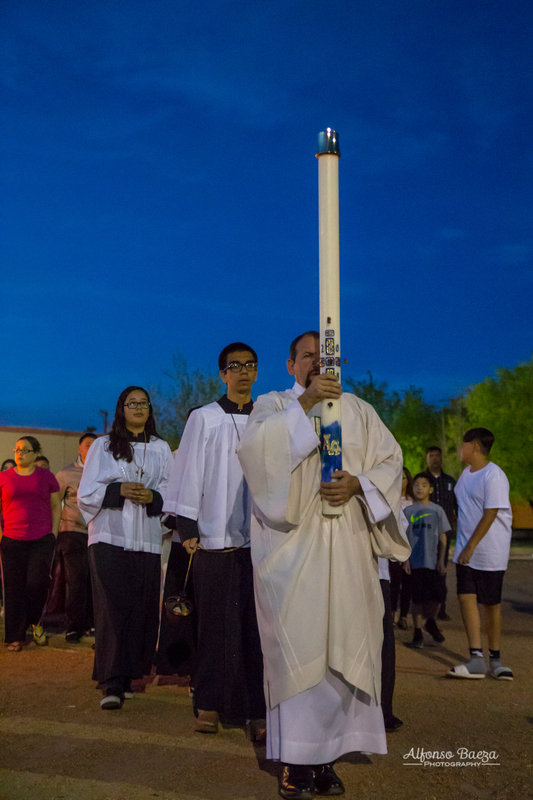 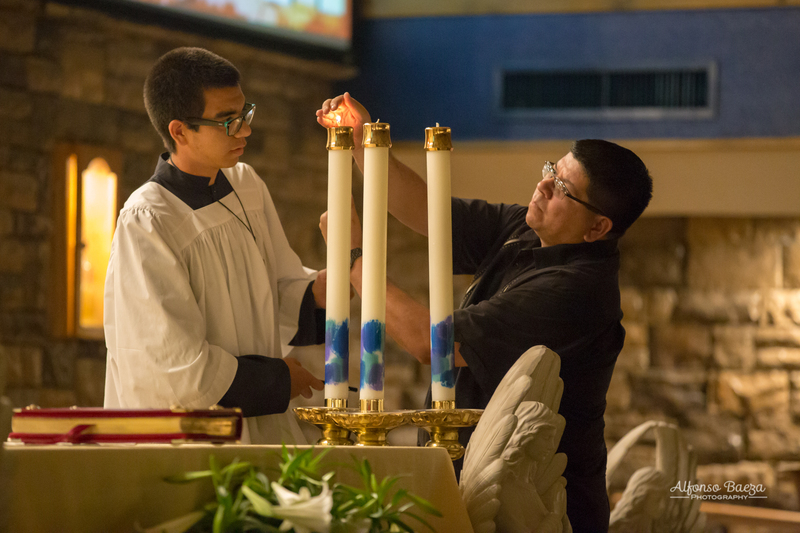 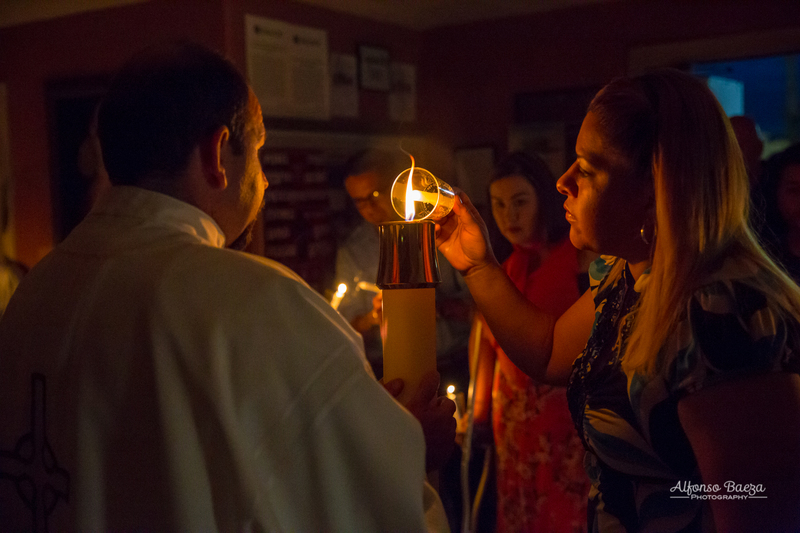 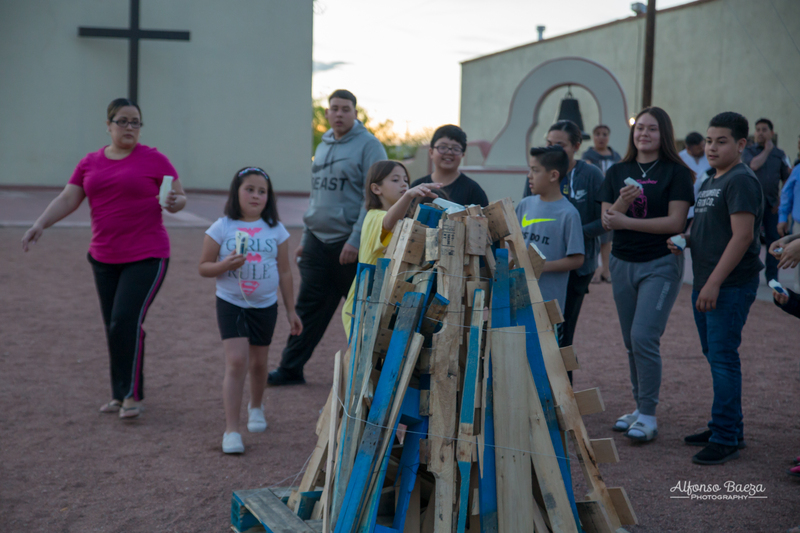 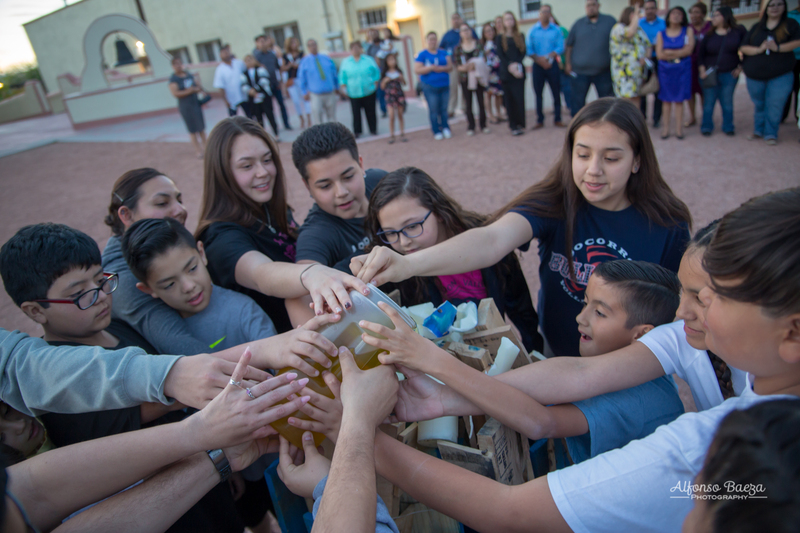 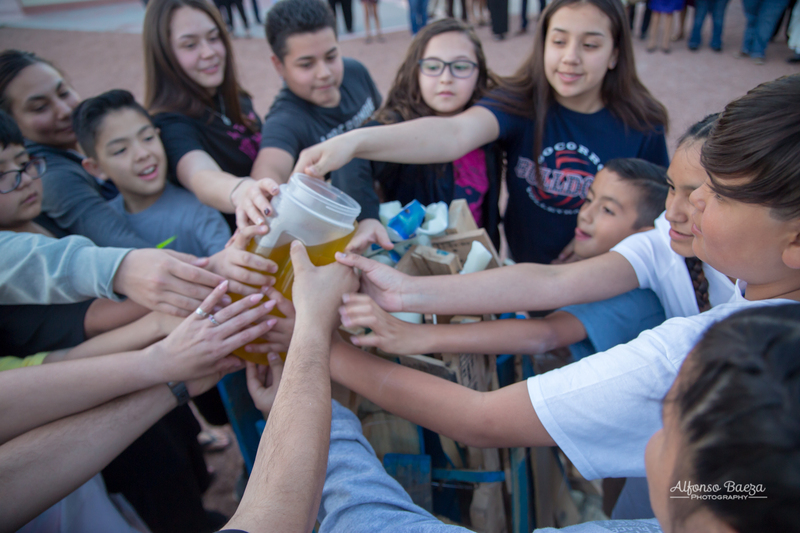 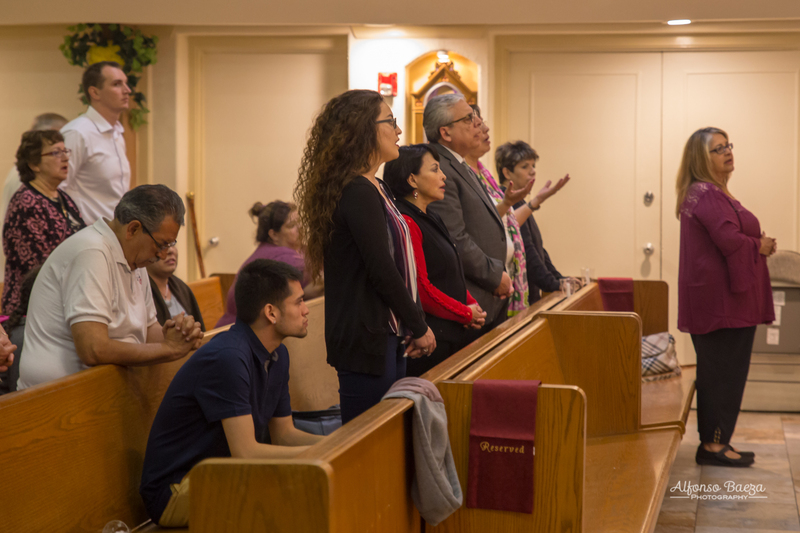 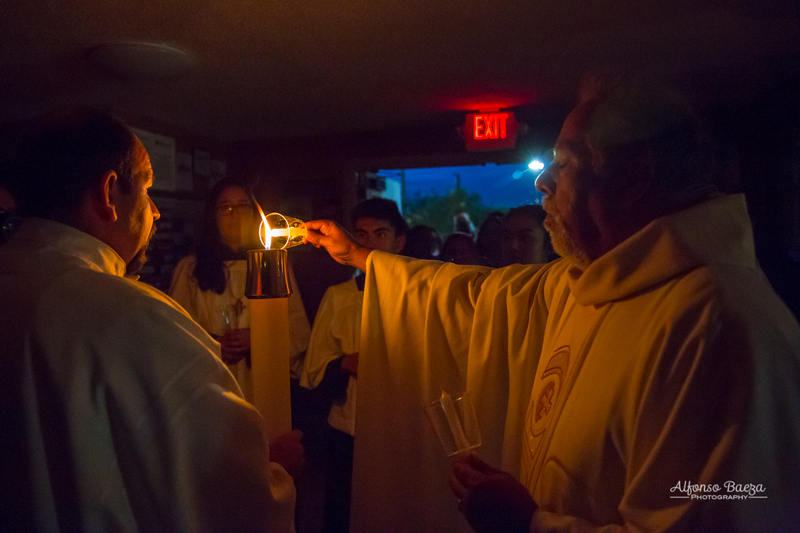 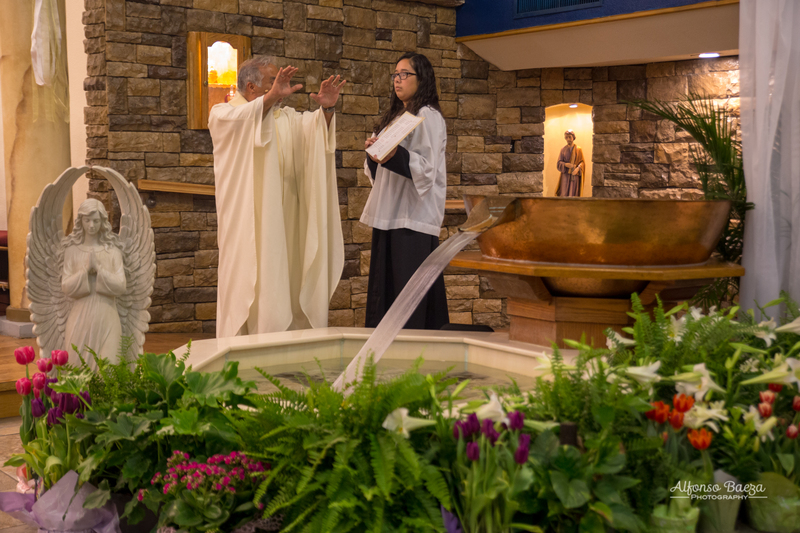 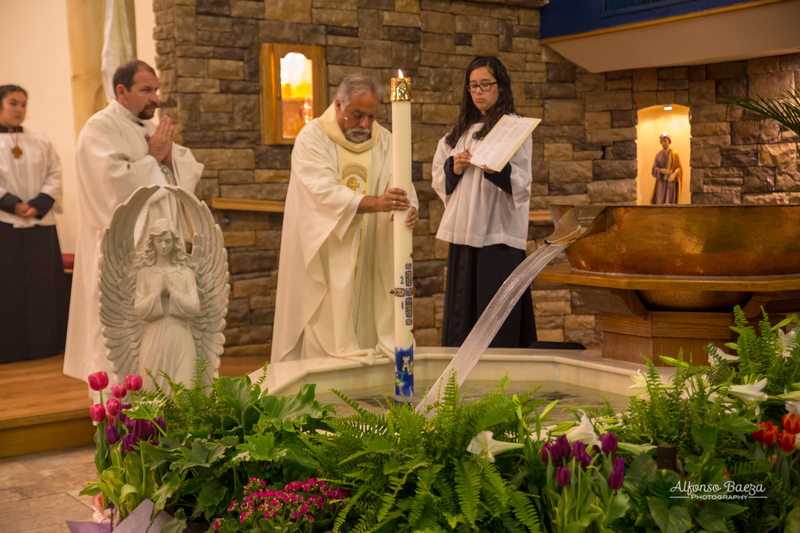 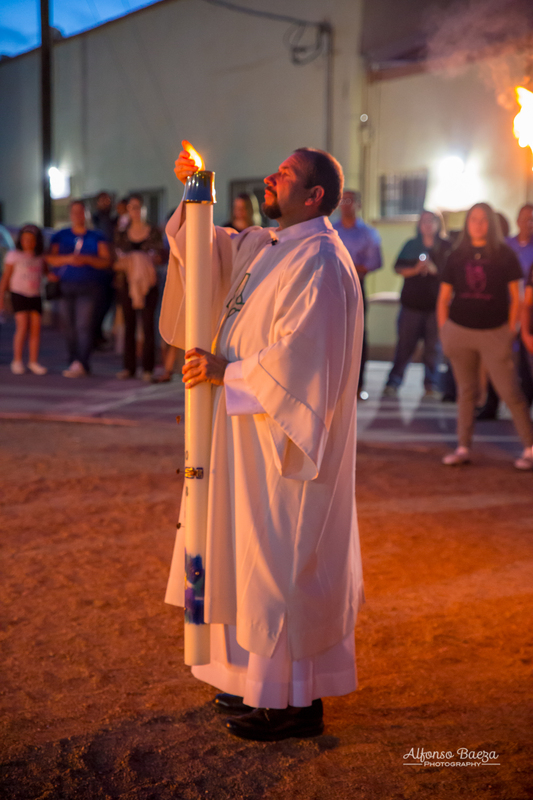 Before the fire, the catechumens were allowed to dispose the Holy Oils and remains of the Paschal candle from 2017. 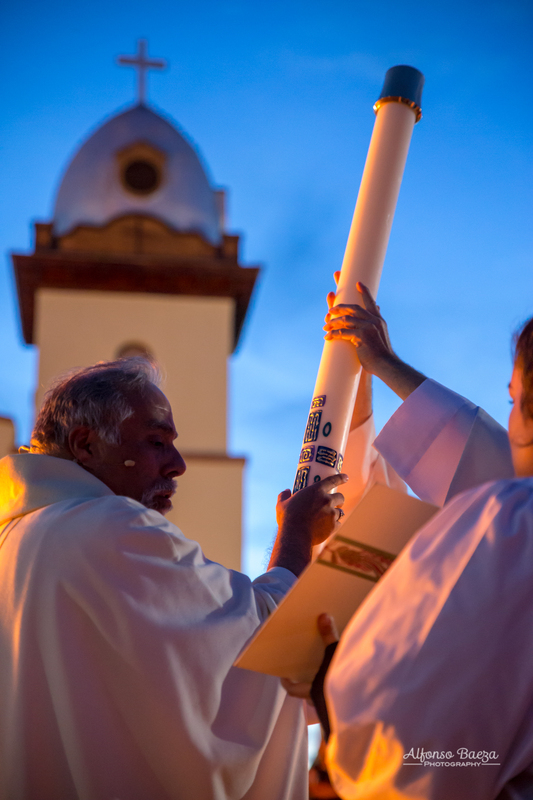 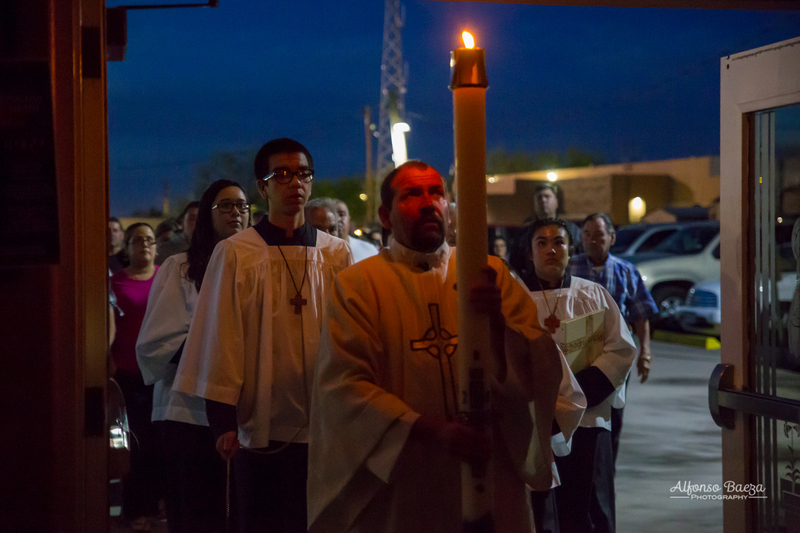 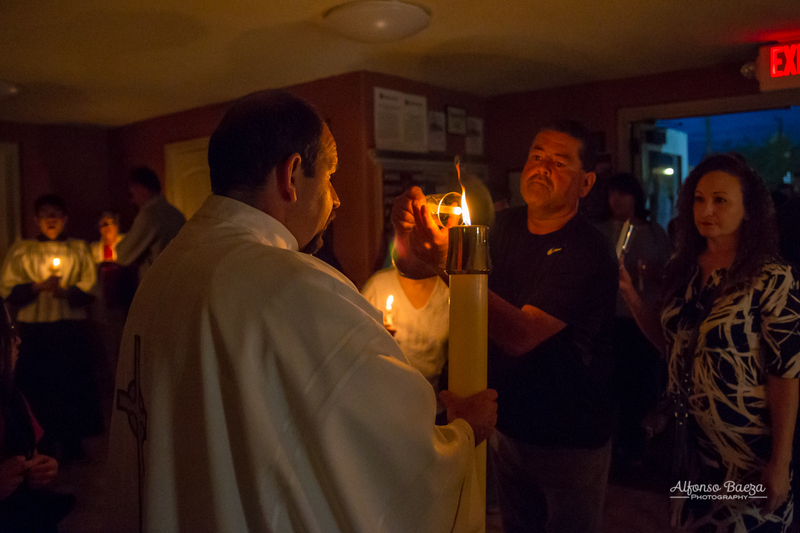 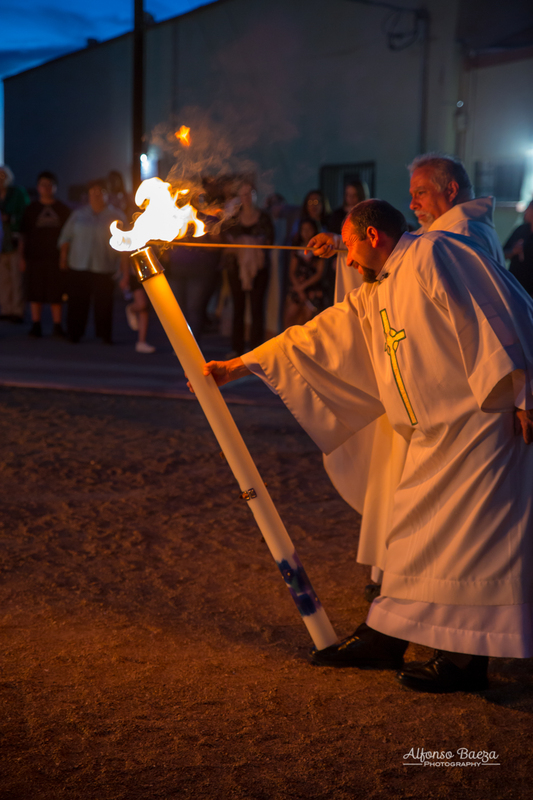 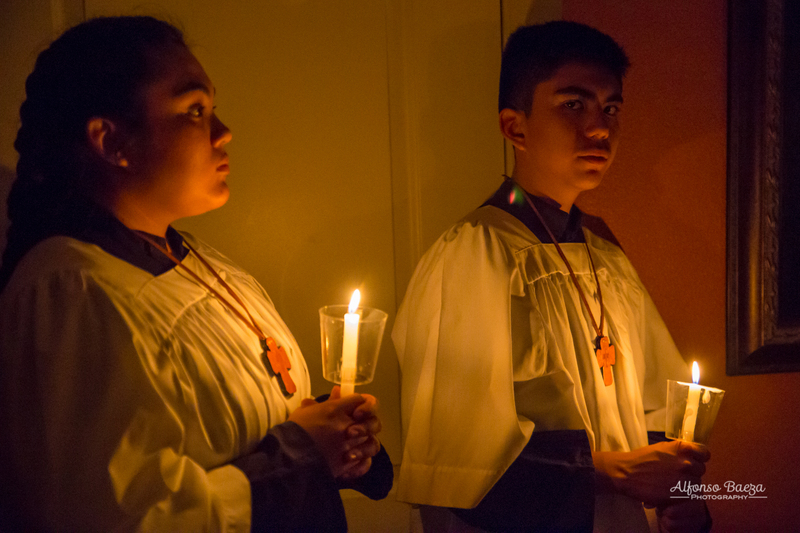 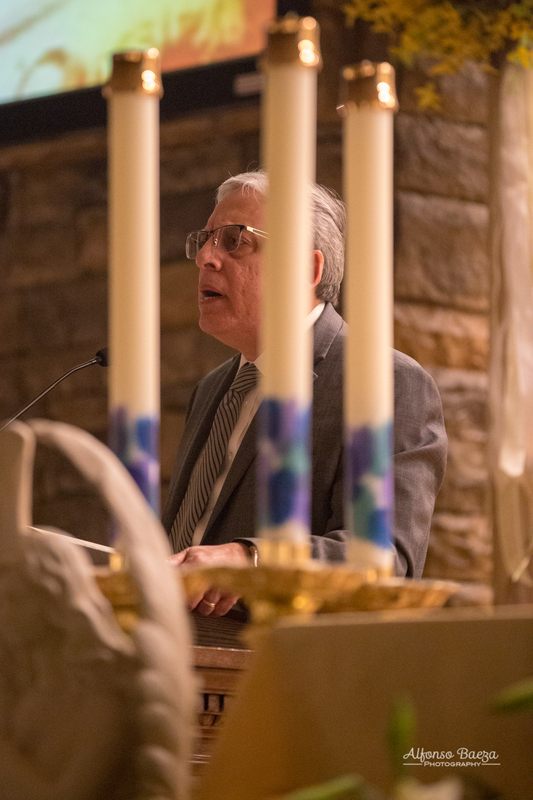 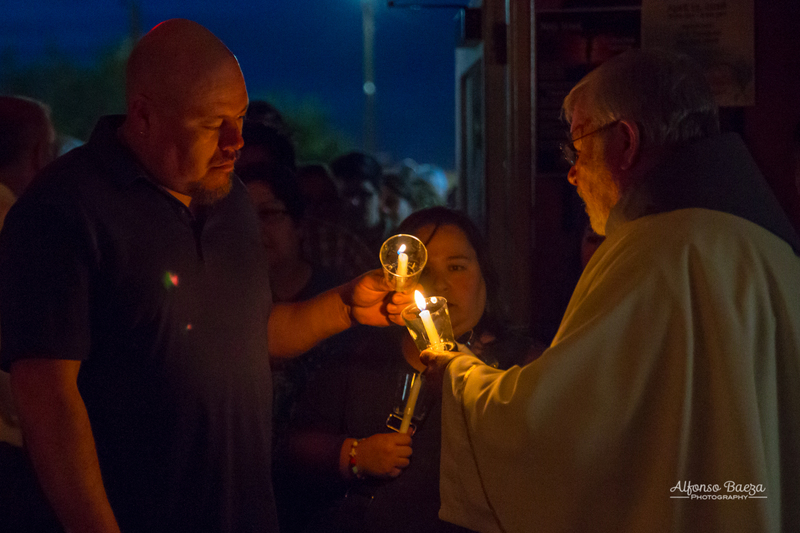 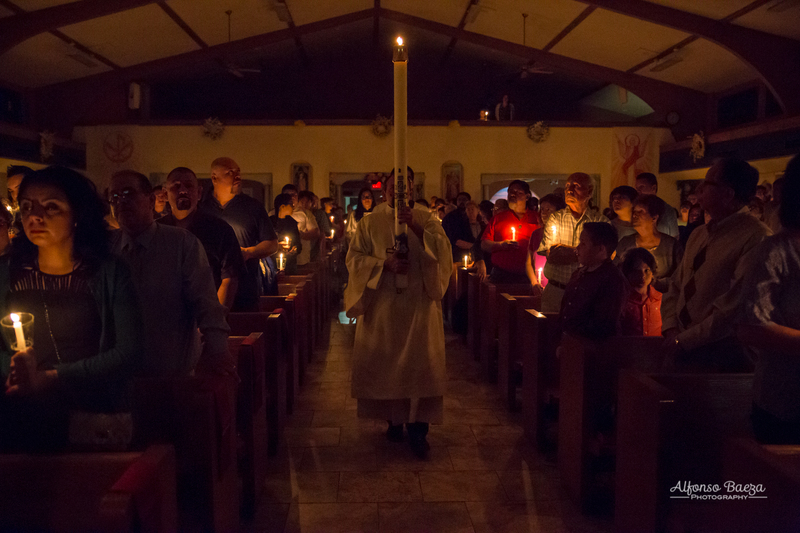 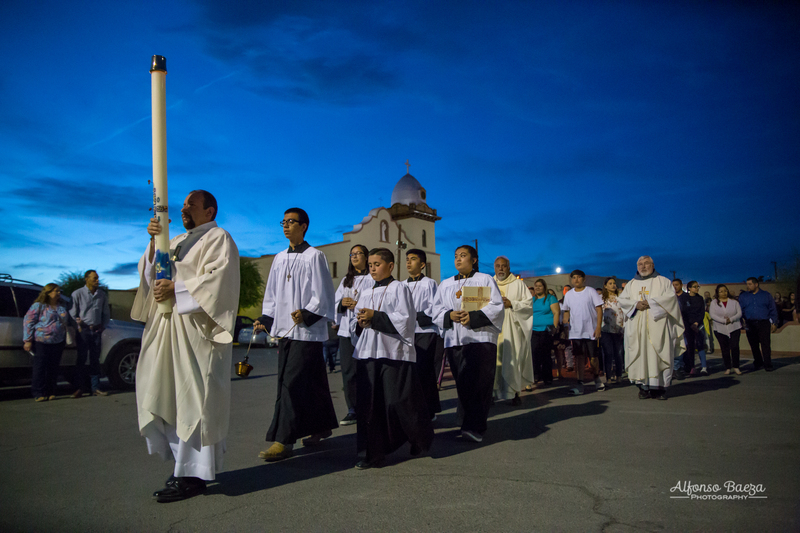 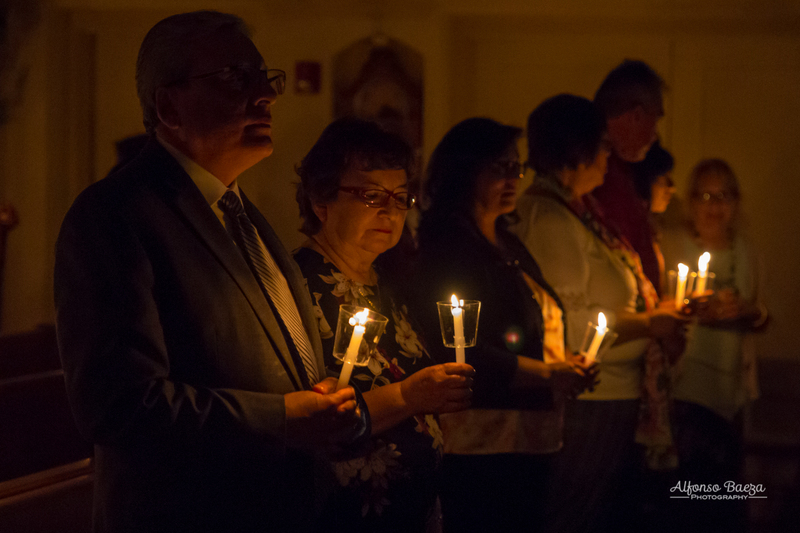 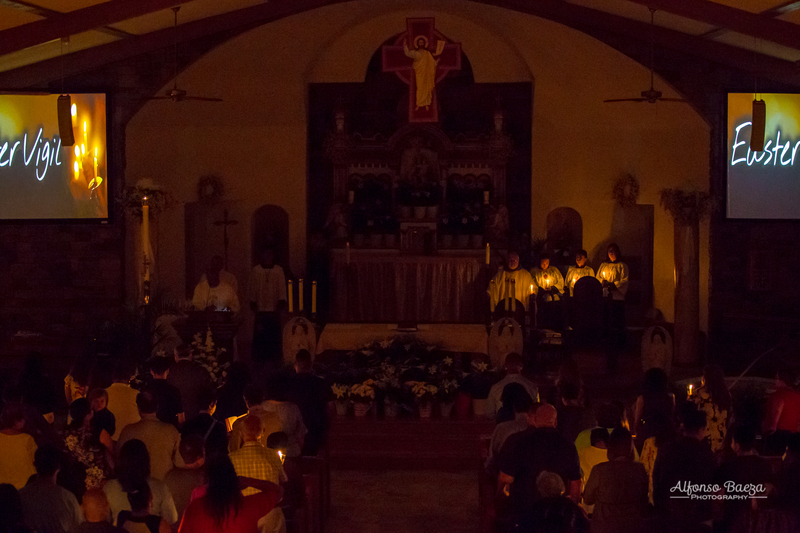 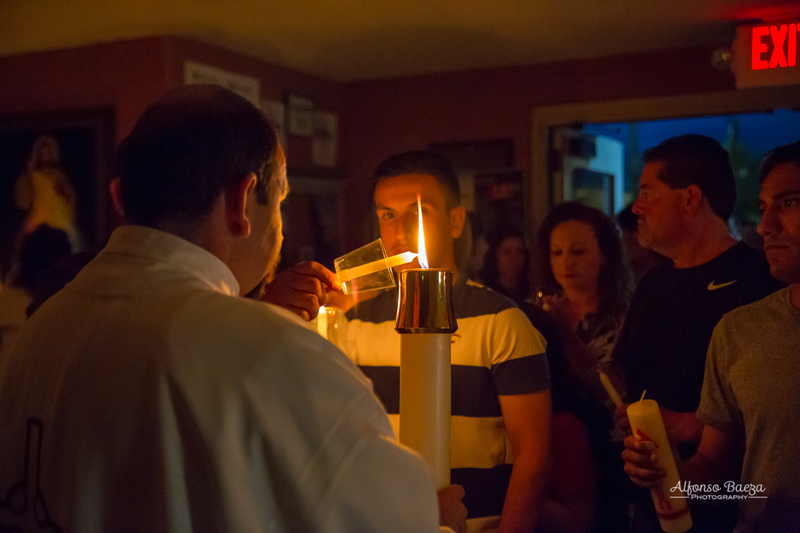 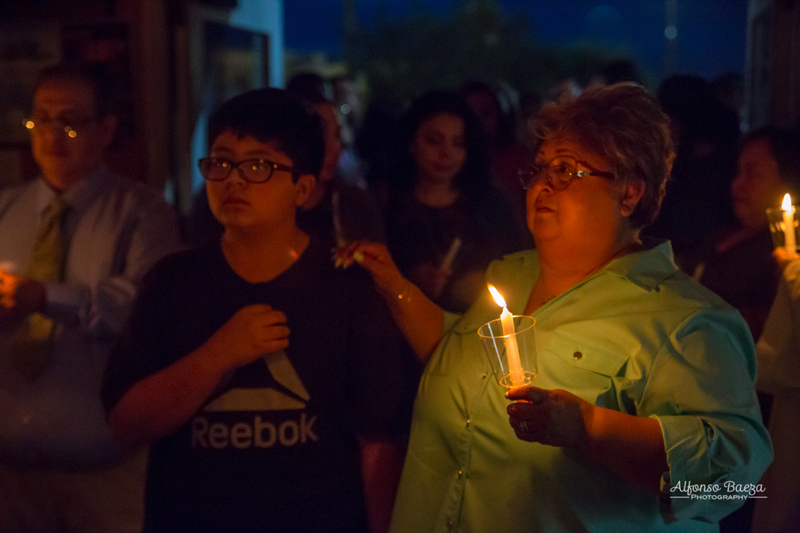 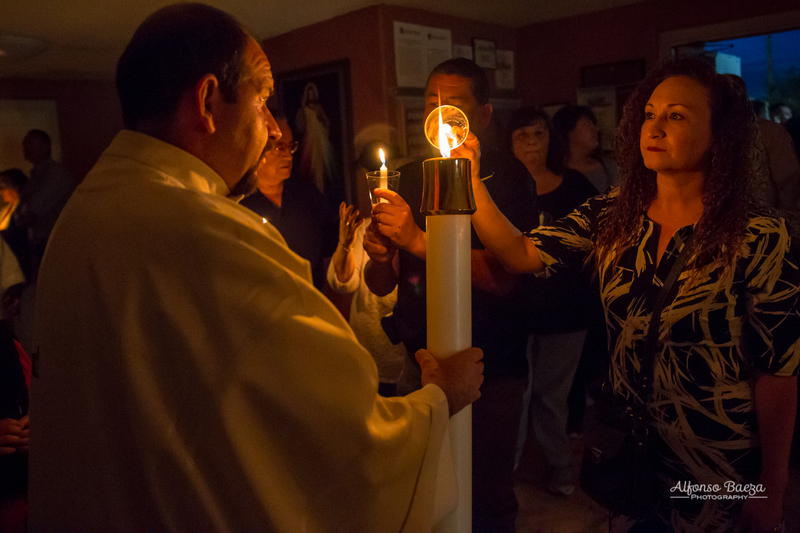 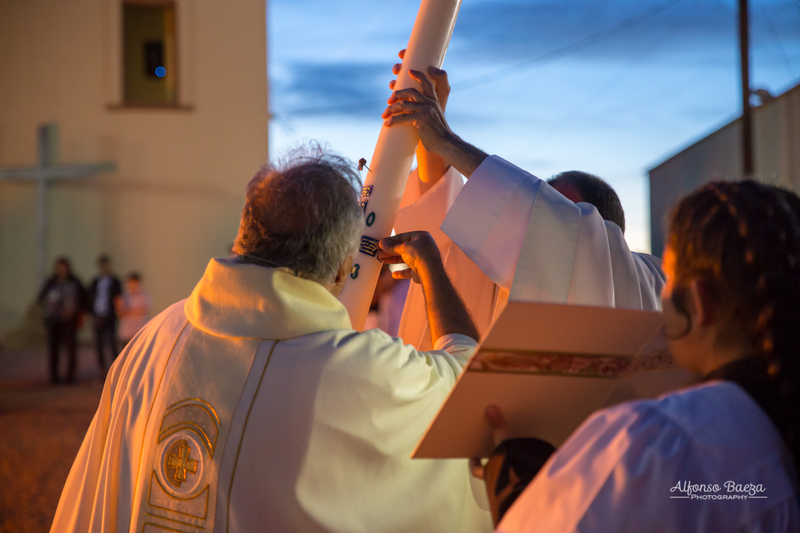 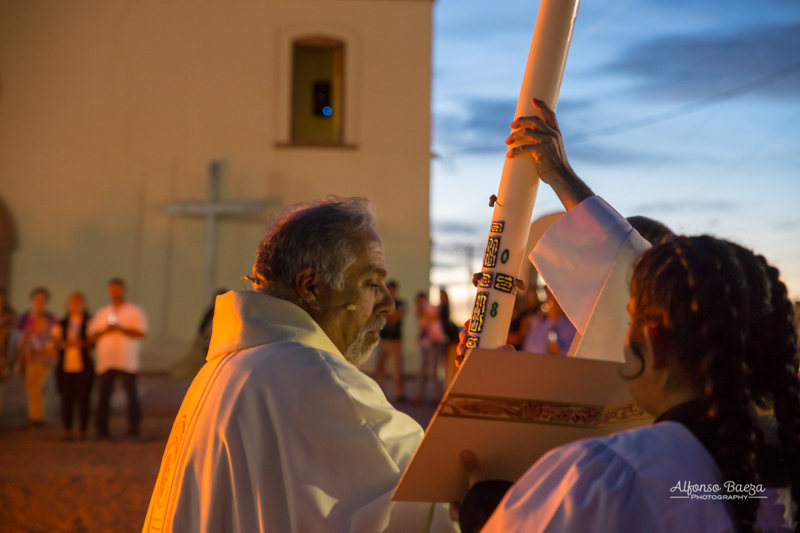 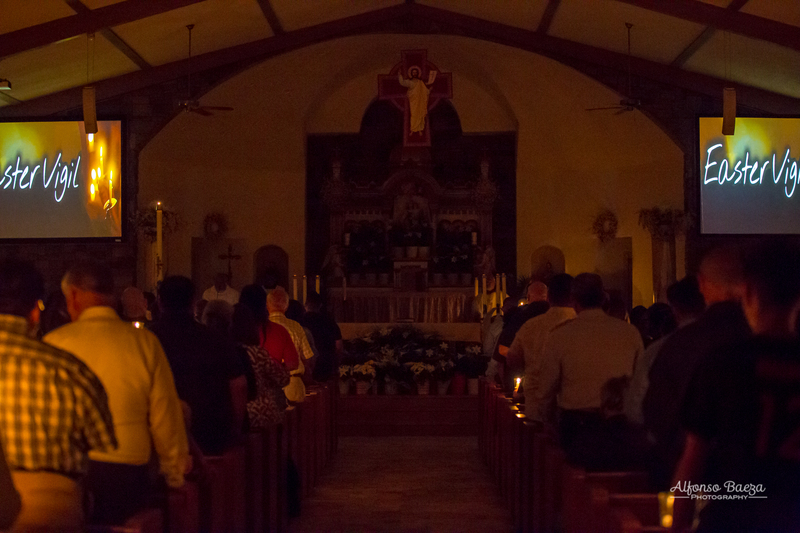 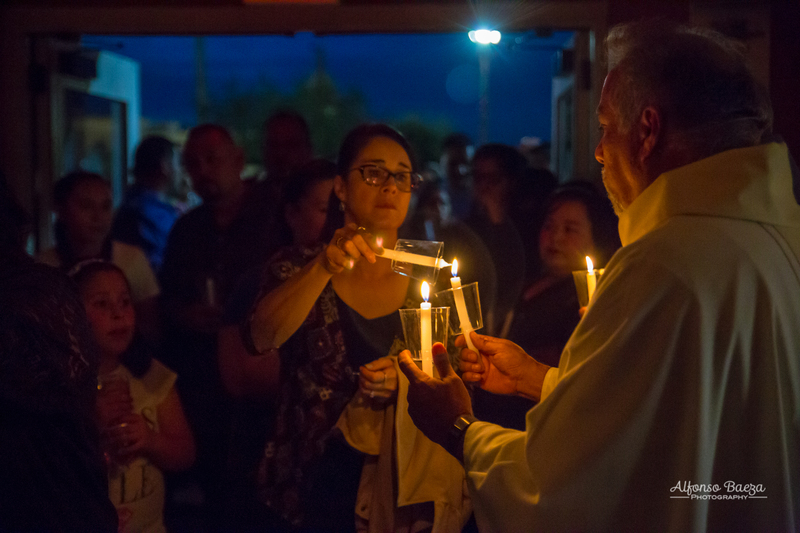 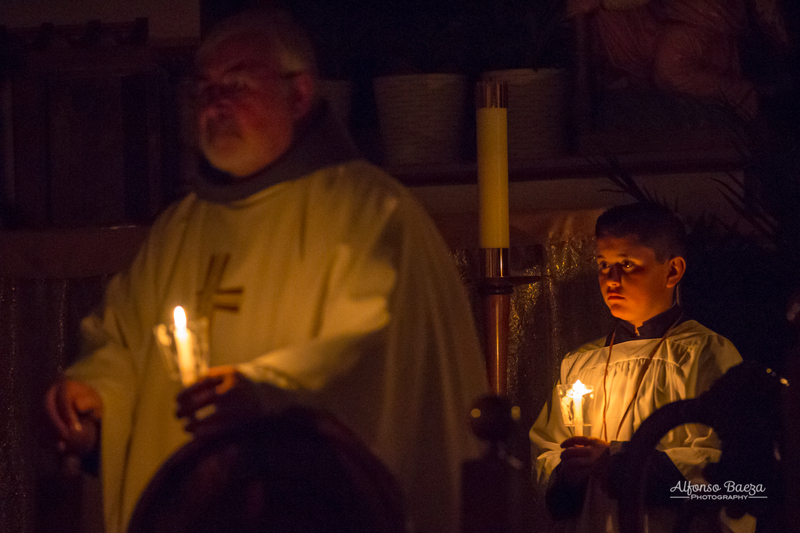 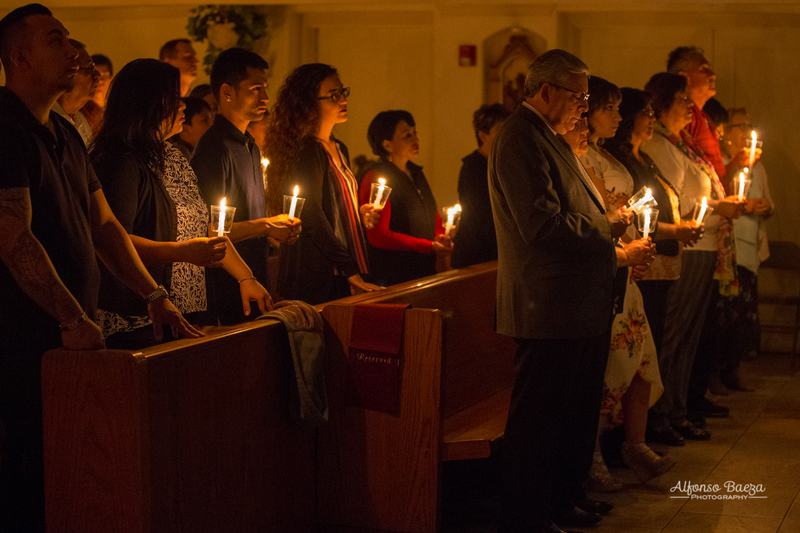 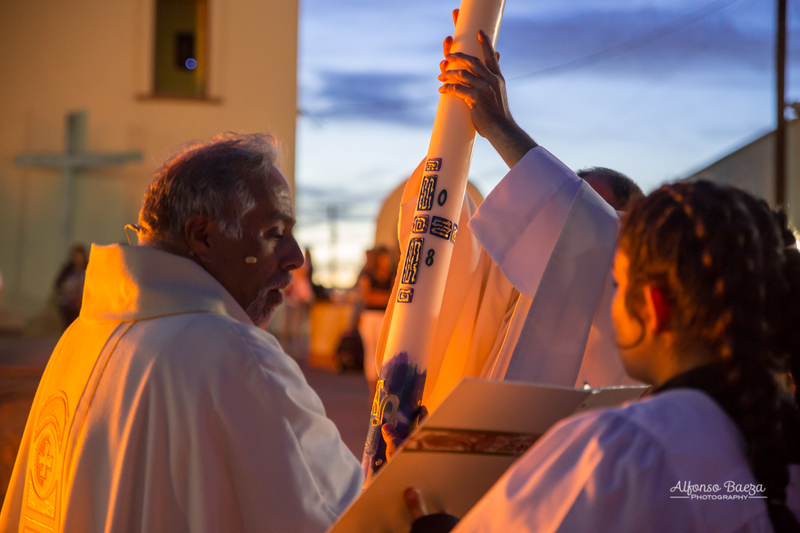 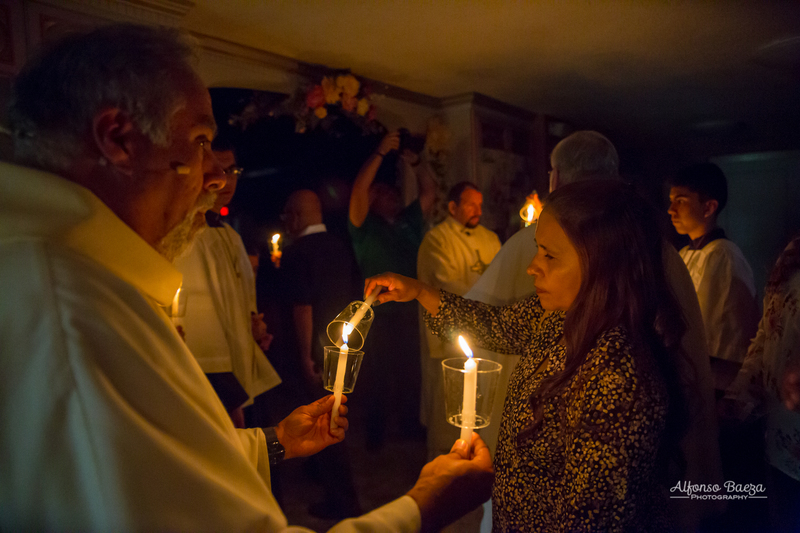 A procession followed to the main Church were candles were lit from the Paschal candle. 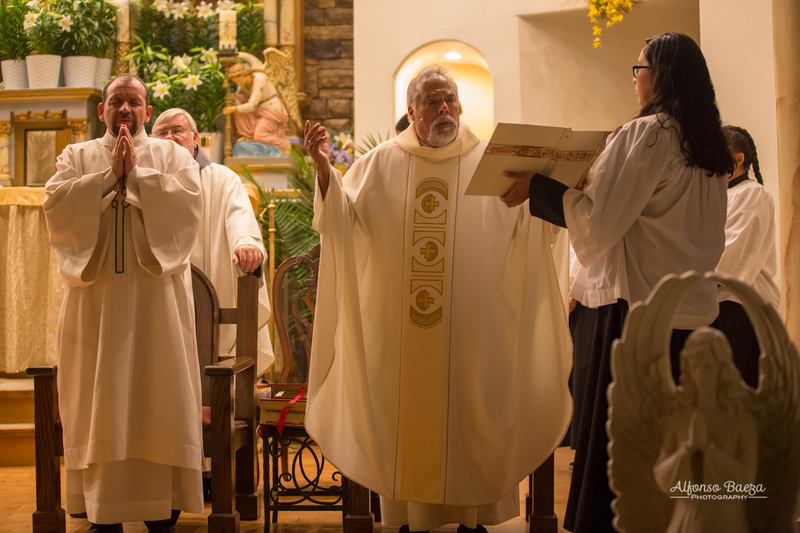 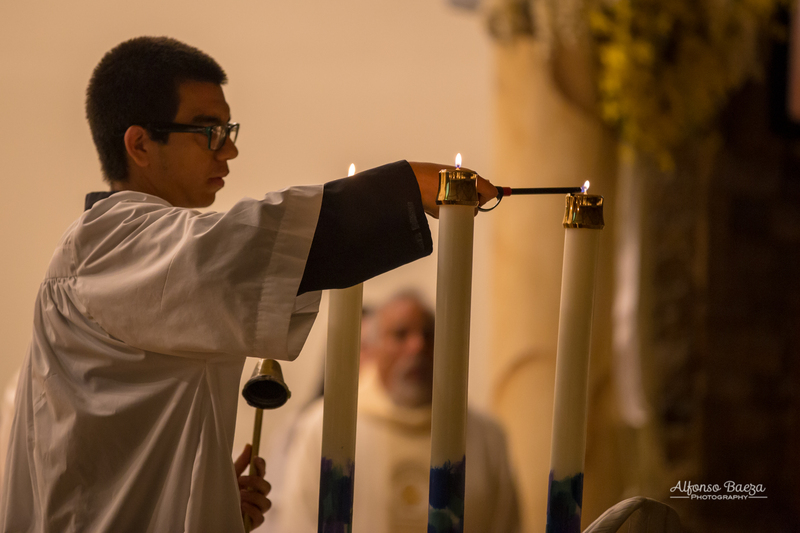 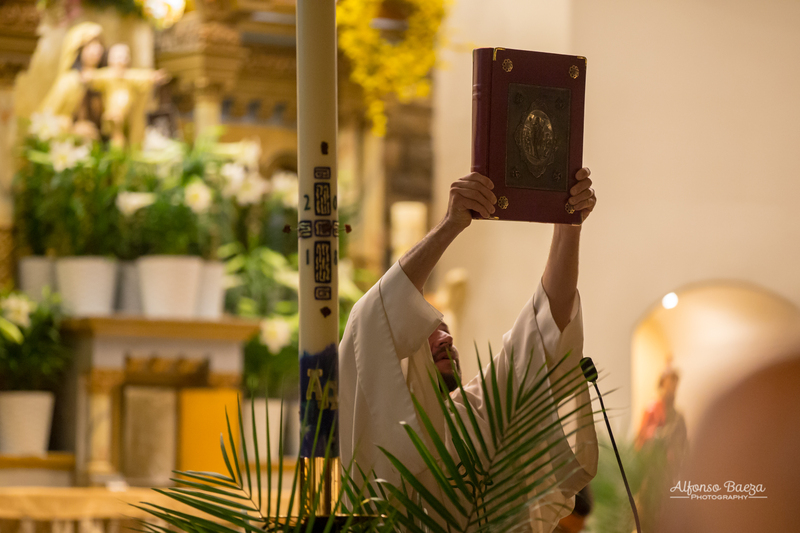 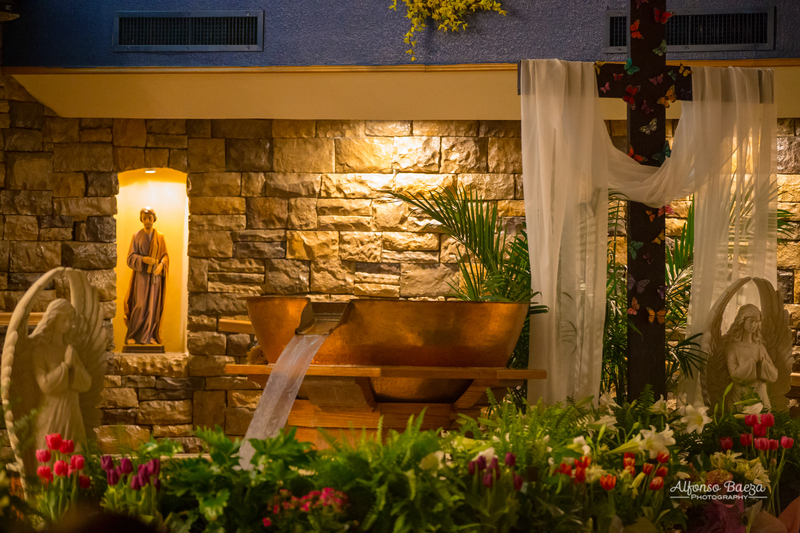 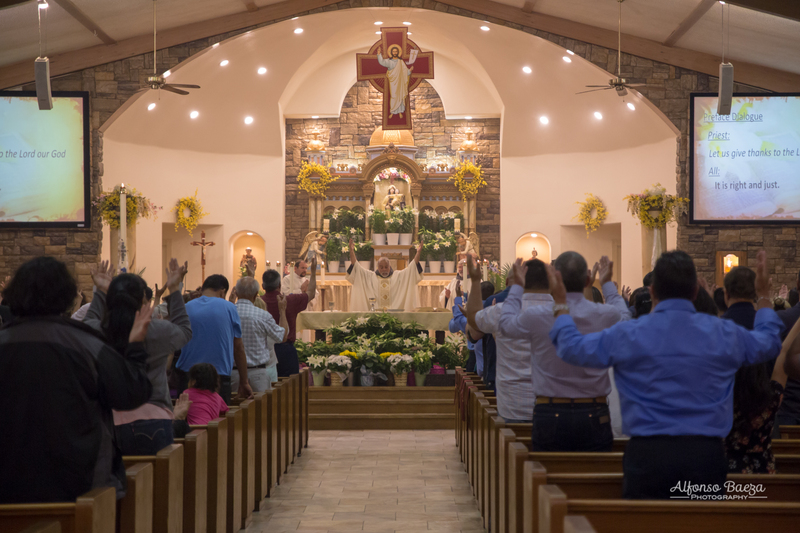 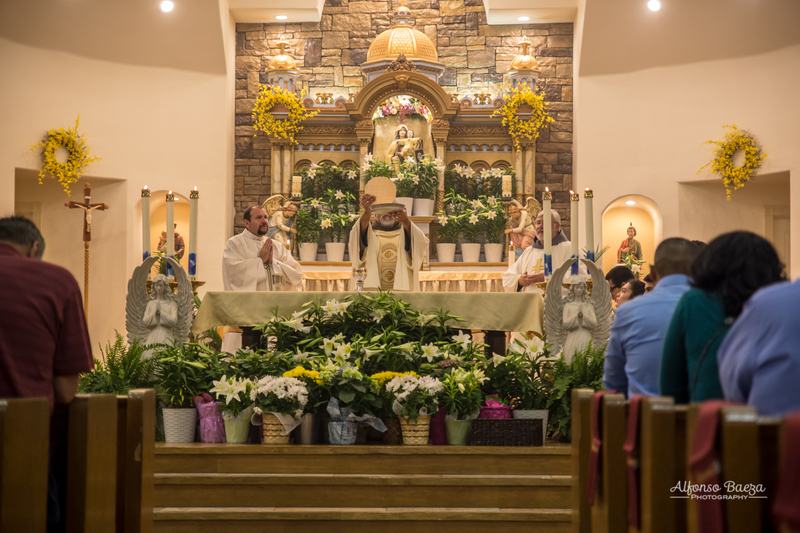 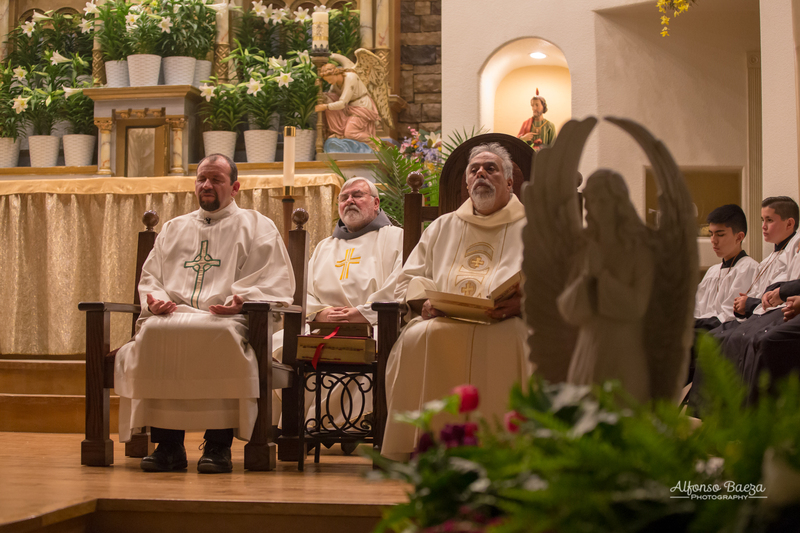 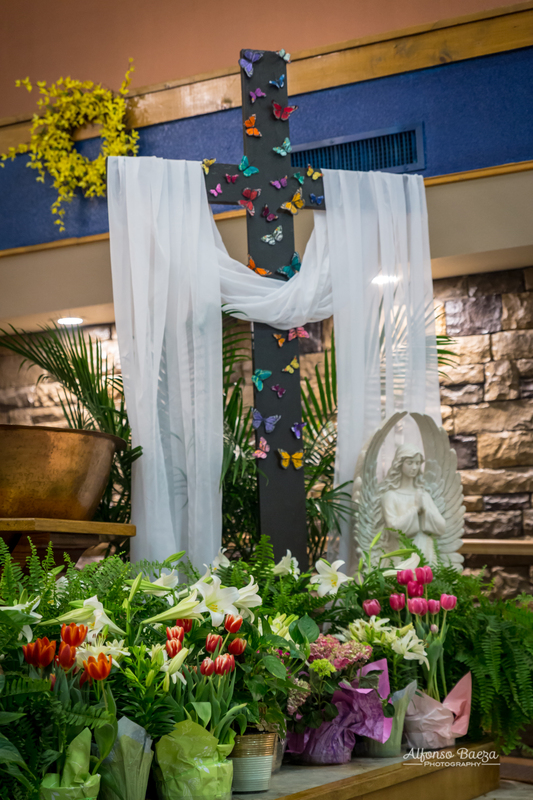 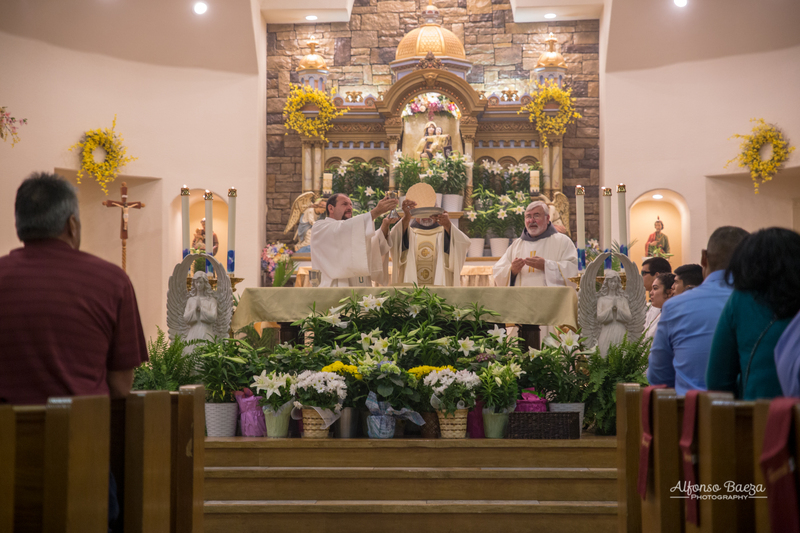 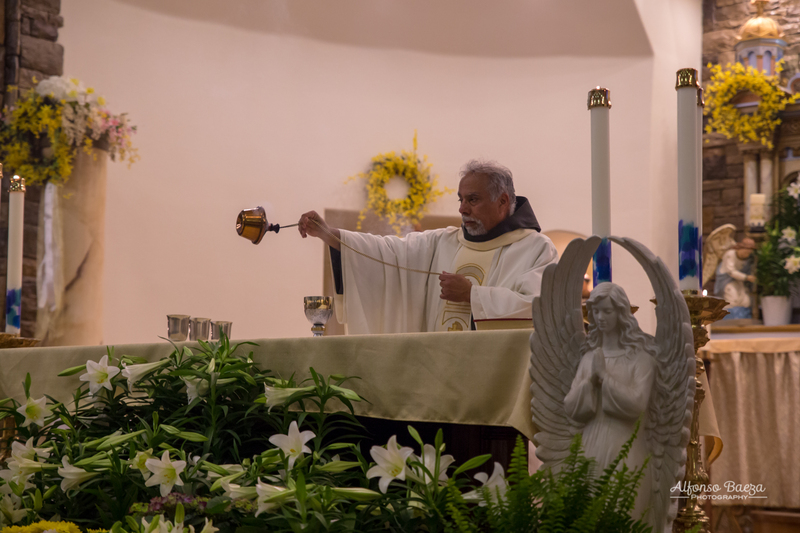 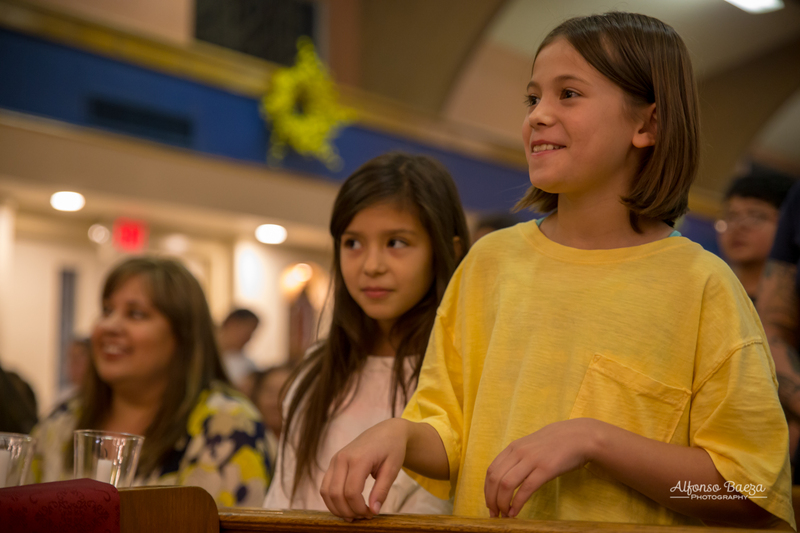 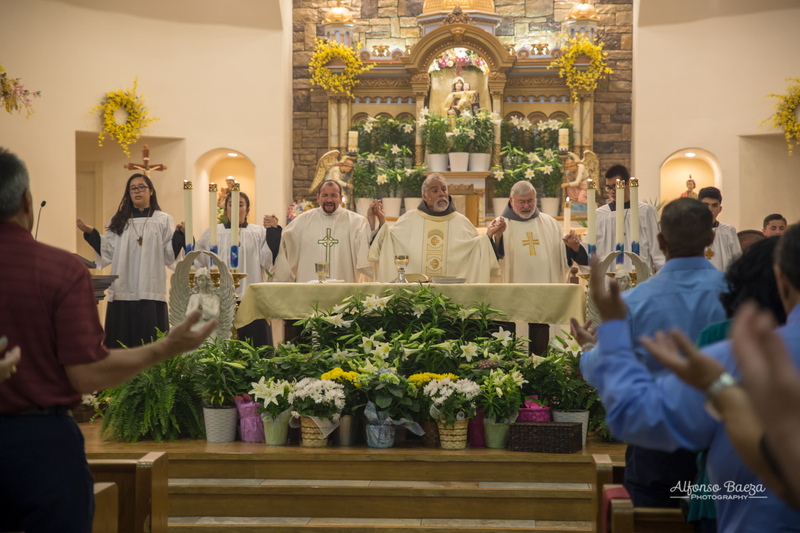 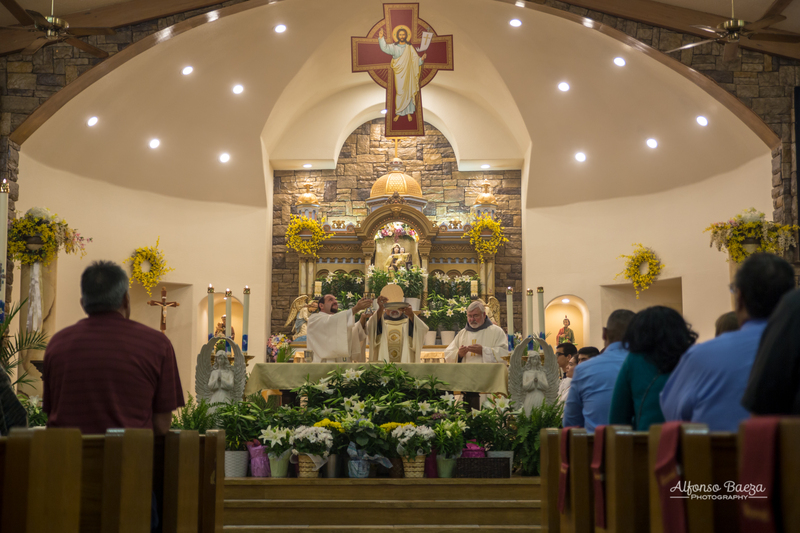 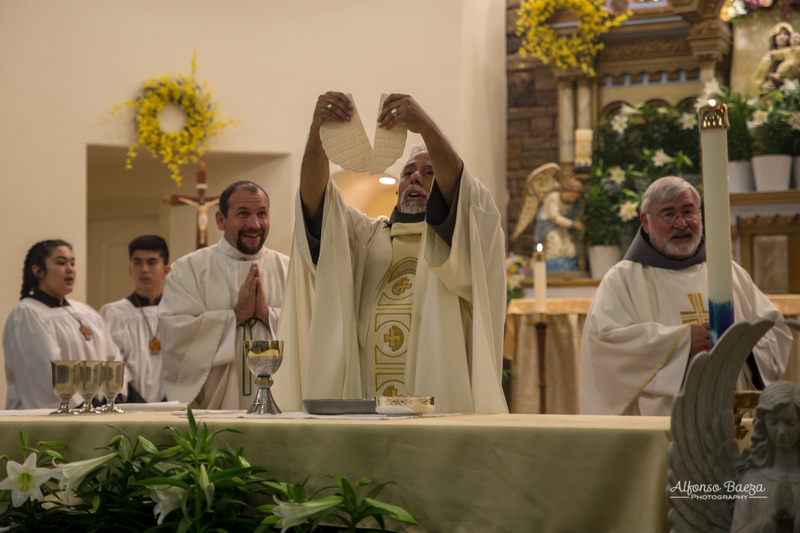 The celebration continued in the main Church with the announcement of Easter; the reading of passages from Holy Scripture and singing of Glory; the water blessings and the Liturgy of the Eucharist.